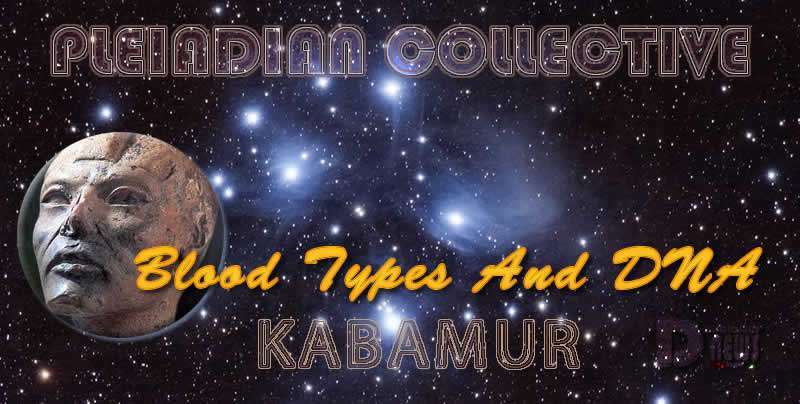 Blood Types And DNA – Pleiadian Collective. By Kabamur Taygeta. The most frequent question asked is about blood types. What do they mean? Is this blood type good or bad? Blood types are just a trait that some have according to ancestry of the family they incarnate into. Blood type is not as important as DNA. The DNA carries everything including all Biology. It determines hair color, skin color, blood type and other variations. For Incarnated Pleiadians, and other Star Races incarnated, our DNA is different and we are Coded and have Multiple Strands. This means that DNA can accept Downloads and Encoded Messages on Receptor Sites. We increase the number of strands throughout our lifetime. Our DNA includes the Human Family as well as the Pleiadian / Star Family. This is the reason many Incarnated Pleiadians will choose to look more Pleiadian than Human. Some really stand out this way. Others choose to blend with the Human Race and not be noticed. We are all, biologically, a mix of ET genetics from multiple sources. There is not superior or inferior blood type. RH- is just another type. DNA is much more relevant to our experience, Starseed or not.